The warmer weather we have been enjoying in Melbourne of late has thrown my herb garden into a flurry of growth and greenery. As most of my favorite sauce concoctions start with a base of herbs, what better time to be inspired than Spring! This is the second recipe as part of my Spring Sauces post. The first one was Lemon-y Garlic and Coriander Yoghurt Dressing. 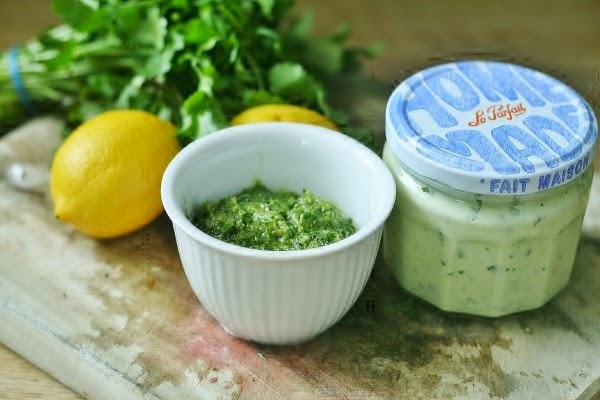 When I used to make a Salsa Verde in my pre-Thermomix days, with a traditional motar and pestle or even in my little mini food processor, the resultant sauce was always a dull green. 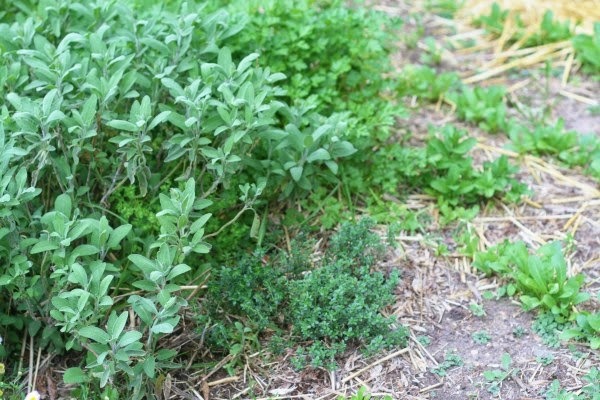 The herbs had lost their vibrant green. With this Thermomix version you will notice how intense the greenery remains. It is all to do with those amazing blades! Combine all of the ingredients except the mustard, oil and lemon juice into the TM bowl, chop on Speed 6 for 10 seconds. Add mustard and lemon juice and combine on Speed 4. Whilst blades are still turning add the oil slowly. Scrape down the bowl and process a little bit more if needed.